Genus of 50 species of deciduous or evergreen trees occurring in deciduous woodland, often near rivers, in warm-temperate and tropical regions from Asia to Australia. 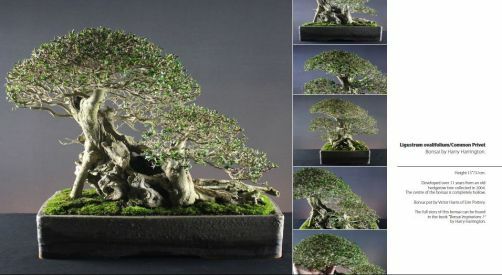 The species commonly used for bonsai is Lagerstroemia communis or Lagerstroemia indica, the Crepe Myrtle. L. indica is an upright, deciduous tree with peeling, grey and brown bark and small dark-green, opposite leaves to 8cm. Each plant has separate male and female flowers; vast numbers appear in Summer clothing the tree in white, pink, red or purple depending on the variety. POSITION In summer Myrtles need to placed outside in a sunny position though they will tolerate a sunny position indoors. Myrtles are not fully hardy and need to be brought indoors from October to May when there is a risk of night temperatures dropping below 2-3°C. Overwinter in a position in a partially heated room where temperatures are allowed to drop at night to allow leaf-drop and dormancy. Ensure good humidity levels are provided by use of a gravel tray. FEEDING Feed fortnightly from Spring to Autumn, do not feed during the winter when dormant. REPOTTING Annually in Spring as new growth commences in a basic soil mix. PRUNING Wait until new shoots have extended and then cut back to one or two pairs of leaves in late Spring. Do not prune again until Autumn as flower buds are formed on growth that develops from early Summer onwards. Myrtles produce many upward growing shoots that need wiring down to produce branch structure, wiring is very easily carried out until branches reach 3 to 4 years of age at which point they become very brittle and snap easily. PROPAGATION Sow seed at 10-13°C in Spring. Root softwood cuttings in late Spring or semi-ripe cuttings with bottom heat in Summer. PEST AND DISEASES Mealy bugs, red spider mites and whiteflies can be a problem on indoor trees. STYLING Informal upright forms, cascade forms in medium to extra-large sizes.